Our services offer you a solution to remedy any damp, mould, timber decay or infestation related problems within your home and the complete confidence that these problems will not return. 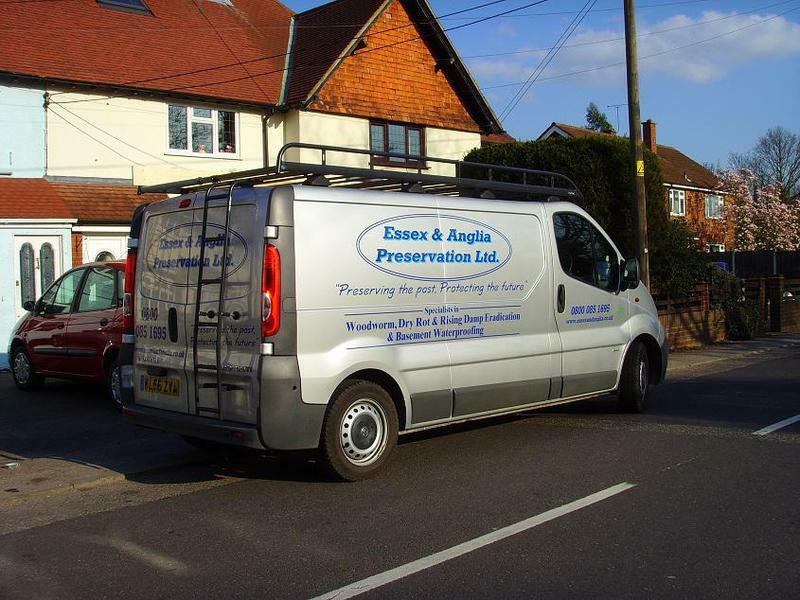 Essex & Anglia Preservation Ltd has always been family owned and run, now in its 3rd generation of the same family. This offers you a different level of genuine passion, care and customer service as we continue to uphold our excellent reputation within the industry. Being a local business means we can guarantee you a convenient, approachable experience too  you will know exactly who we are and where you can find us! Our being well established in the specialist dampness & timber preservation industry for 50 years means you can have the total confidence that the advice you receive is accurate and the best available on the market. Fully qualified CSRT / CSSW surveyors will offer you a different level of experience and peace of mind that our works in your home will remedy damp and timber issues without re-occurrence. We are proud to work in partnership with a wide range of home owners, landlords, construction firms, local authorities and housing associations. We are very proud of our long term membership with the Property Care Association (PCA), the only governing body for the industry, which shows we are a professional, qualified company who are vetted and audited annually. This also means our surveys and guarantees are the only standard accepted by mortgage lenders, home buyers and insurance companies so you get the best possible value for your money. We are also proud members of Trustmark, Triton and Sovereign approved contractors. You will benefit from a 10 or 20 year guarantee on specialist treatments and as full members of the PCA independent insurance backed guarantees can be offered ensuring full compliance on any project. You will be provided with a dedicated liaison as part of our service, a caring member of our team who can be your one point of contact for any information or support you may need from start to finish. This extra personal service means time and focus will be given to minimising any stress or disruption to you during the works process, making sure it is an enjoyable experience working with us. "I am a first-time homeowner and recently bought a 1930s property that required lots of improvement. I engaged Essex & Anglia Preservation to help me sort out the damp and timber rot problems, which I considered to be one of the best decisions I have made. Paul was an excellent communicator on the phone, and Alan (the surveyor), who came out to view the property was very knowledgeable in these matters. Alan methodically explained the problems I have and gave a very reasonable quote to solve these issues. Both Joe and Stuart who were on site to complete the job were professional, reliable and very efficient. Whenever I am on site, they will take the time to explain in detail about the work they had done. They also helped address extra bits around the house which I would not have noticed. They were meticulous in their work, and this can be seen from the end result of it. They kept the house tidy after they completed the job and cleared up all the mess,. Laura and Zoe, whom I spoke with often on the phone were both very polite, pleasant and helpful. I received a personalised service right from the beginning to the end. They made it very easy for me (a non-trader) to discuss my concerns and quickly found the right solutions for me. They were also very accommodating in arranging the work to be completed as soon as possible as I was on a tight schedule. The overall experience has been highly commendable, and I am very impressed with their service. I would not hesitate to recommend E&A to others." "I confirm I was very happy with the company from start to finish." 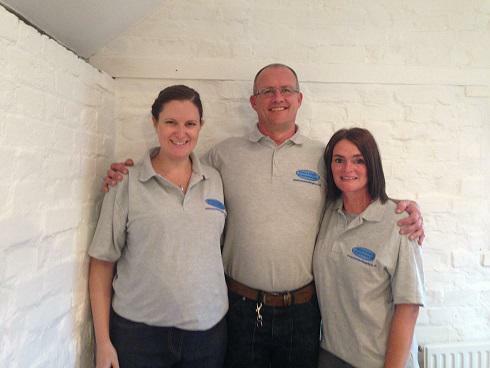 "Paul the surveyor visited twice and liaised with my builder to agree the best treatment for the situation. Both times he was extremely helpful with his advice. Operative turned up on time and carried out work efficiently and with great respect for my house. I have already recommended them to a friend"
"Professional from start to finish. Highly recommended."